1. Invest or Pay Off Debt? 3. Are Credit Card Points Taxable? 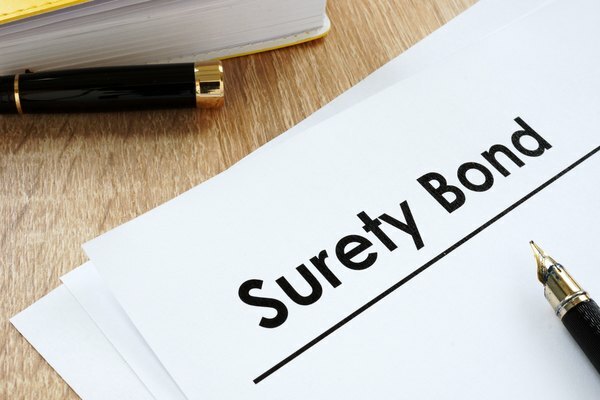 Bonds are securities that you can buy and sell similar to stocks, but unlike stocks, they represent a loan to a company or government agency, not ownership in an organization. Like other loans, bonds pay interest over time. On the other hand, stocks can pay dividends as a way to return money to investors. Bonds pay interest to investors, while stocks can pay dividends. Both can be a good source of income for investors. A bond is a security that you can buy and sell that represents a loan from a company or another organization, like a nonprofit group or a government agency. Investors buy bonds in order to receive interest payments from the bond-issuing organization over time. Generally, bonds pay out over a period of years. As with other loans, there is a risk that the issuing organization could default on its bond obligations, such as if it goes bankrupt or otherwise runs low on funds. The likelihood of default is factored into the interest rate, so riskier organizations will have to pay more to borrow money. Bonds with credit ratings below a certain level are sometimes called "junk bonds," and they can be lucrative but risky. While the interest rate on bonds doesn't usually change over time, the price that investors are willing to pay over time does fluctuate based on default risk and other factors. Generally, bond yields will go down when interest rates get higher, since investors will have more alternatives to get the same level of interest they could get from a particular bond. The ratio of the annual payout to the bond's current price is known as the bond's yield, and it can be different from the interest rate paid on the face value of the bond, known as its coupon rate. The term "coupon" is sometimes used for bond payments referring to older bonds that had physical coupons attached, which would be clipped out and mailed in to claim payments. If you're thinking about buying bonds, you should consider the credit rating of the organizations issuing them and other factors that could affect your chance of getting paid back. You should also compare the bond yields to the money you could get from other potential investments, including putting money in the bank. Some, but not all, companies pay back portions of their profits to investors by issuing what are called dividends. A dividend generally pays each shareholder a certain amount of money based on how many shares they own, such as 10 cents per share. You must own the stock before a date known as the ex-dividend date to participate in and receive a dividend. Dividends are more common among established companies that return steady profits than in newer startup businesses, which are more likely to take their profits and reinvest them in their businesses. Some companies occasionally pay out additional shares of stock as part of a dividend rather than paying cash. Rarely, companies will pay out bonds to investors rather than immediately paying out cash. This is known as a bond dividend and it can be a useful strategy for a company that wants to indicate that it's willing to compensate investors but doesn't have the funds to do so comfortably at the time. Funds also typically pay dividends, not interest, even if they're investing in some underlying securities that pay interest. So it is possible for bond interest to be funding fund dividends if you invest in a fund that puts money into bonds. Often, blue chip companies that pay steady dividends and bonds that pay steady interest are considered relatively conservative investments. Stocks and bonds providing income through regular payments can be good for older investors nearing or in retirement, who want steady income without too much risk. Younger and other less risk-sensitive investors often prefer to opt for newer stocks and others that are more likely to experience strong price growth even if they don't pay out a steady dividend right away. Many investors choose to diversify their portfolios, investing some money in safer investments and some in riskier ones with a higher chance of delivering large returns over time. Credit unions, which are member-owned nonprofit organizations that work similarly to banks for many purposes, often call the money they pay to members based on the amount of money in their accounts dividends rather than interest. This is because the members are shareholders in the credit unions. For most purposes, credit union dividends can be directly compared to bank interest in terms of comparing reported percentage yield numbers. Credit union deposits are also insured up to $250,000 by the National Credit Union Administration, just as bank deposits are insured by the Federal Deposit Insurance Corporation. The Internal Revenue Service also considers credit union dividends to be interest, rather than dividends, for federal income tax purposes. One differentiating factor is that some credit unions will pay out excess profit as additional dividends to members, which is more similar to traditional corporate dividends than to bank interest. One difference between bond interest and corporate shareholder interest is how they are treated for tax purposes. Corporate bond interest is generally taxable as ordinary income, at the same rates as bank interest and payment from work. You will usually receive a tax form called 1099-INT from an organization that pays you $10 or more in bond interest in a year and you must report the interest on your tax return. Government-issued bonds sometimes have more lenient tax rules. For instance, federal Treasury bonds and the short-term federal securities called Treasury bills are taxed as income on the federal level but not by state or local taxing authorities. This can mean tax savings if you're in a state with income tax. Interest on municipal bonds, issued by cities and other local governments, is usually not taxed by either the federal government or tax authorities in the state where they're issued. You can also invest in bond funds that themselves only invest in bonds that are tax-exempt in your state. Bond tax status can be one factor to consider in your investment decisions. Consider your likely tax rates over the time you'll own the bond and whether the difference in yield makes the bond more attractive than other investment opportunities. Dividends are sometimes taxed as ordinary income and sometimes taxed at the long-term capital gains rate, which is usually lower. Most taxpayers pay tax on capital gains at a 15 percent federal rate, while some pay 0 percent or 20 percent depending on income. That's best known as the rate that you pay when you sell an investment, such as a stock, a bond or a piece of real estate, that you've held on to for at least a year. Dividends that are taxed at the long-term capital gains are known as qualified dividends. Consider whether a company you are investing in usually pays ordinary dividends or qualified ones when you're determining how much you're likely to make from dividends and comparing one investment opportunity to another. How Do I Transfer a Credit Balance for a Lower Rate? How Do I Purchase SRP Municipal Bonds?